I am so excited to volunteer for LitWorld's World Read Aloud Day on March 7, 2012. The St. Louis, MO area will have two events that are open to the public and free to attend! I've partnered with LitWorld as a World Read Aloud Advocate to promote these events. I shared my passion for this event in a recent interview on the LitWorld blog. Basically, I chose to participate in World Read Aloud Day because I was given so much support as a young child to bring me to the place to be a book lover. However, there are 793 MILLION People worldwide who are still illiterate. I feel like I need to give back to those who were not given the same support that I was given. LitWorld is an organization founded by author and literacy advocate Pam Allyn. The mission of the organization is to end global illiteracy. 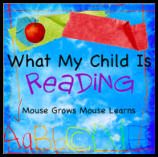 You can be a part of bringing awareness to literacy. On March 7th, 2012, read with someone you love. If you live in the St. Louis area and would like to participate in an event, you can hold your own event or you can join one of these events. They will be sharing Jan Brett books in the store. They will have coloring activities and crafts for the kids. I'll be attending this event with my two boys. We'd love to see our friends there and meet some new friends too! This library holds a free story time each Wednesday morning. They will hold their story time in honor of World Read Aloud Day on March 7. Check it out! You may want to go back every Wednesday! You can create your own World Read Aloud Day event for your classroom or home. You can register your event at LitWorld.org You can download a PDF file of activities, coloring sheets, and awards. There is a suggested book list too. If you would like for your classroom to skype with an author, you can sign up at LitWorld for a free author skype chat. I'm super excited to see blogger and newly published author Kate Hayes, author of All About Poop on the list. (yes, she wrote a book about the most talked about topic in preschool!!) She is a great friend of mine and her first book will be released soon. World Read Aloud Day 2012 is going to be an amazing event! There are 100 WRADvocates around the country. Join us in celebrating literacy and bringing awareness to a great cause! 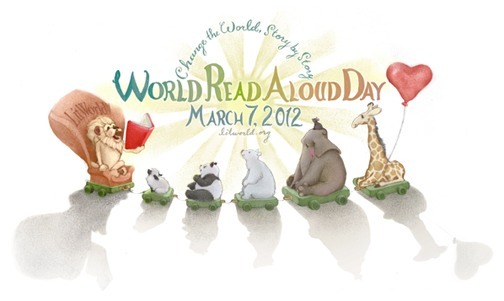 Will you be celebrating World Read Aloud day this year? Very nice! I love how well you explain LitWorld's mission and your reasons for being involved. I think the word is really spreading this year~!